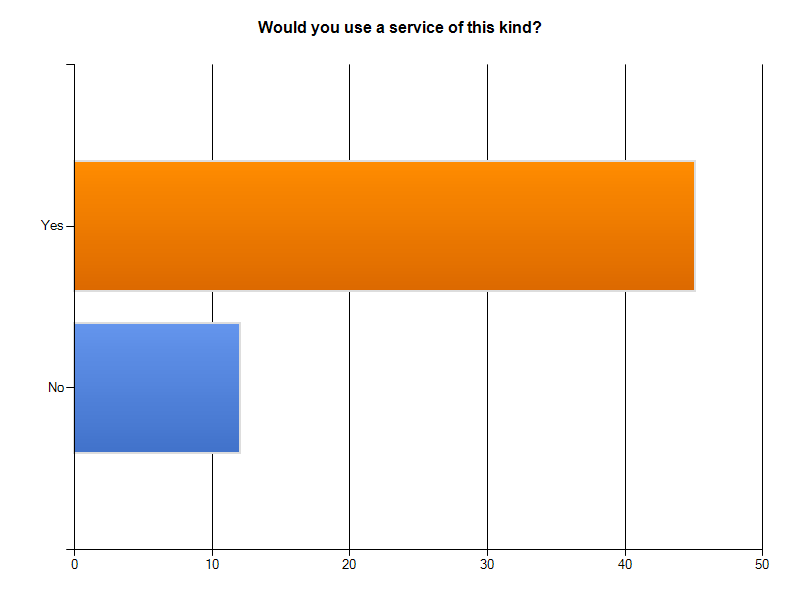 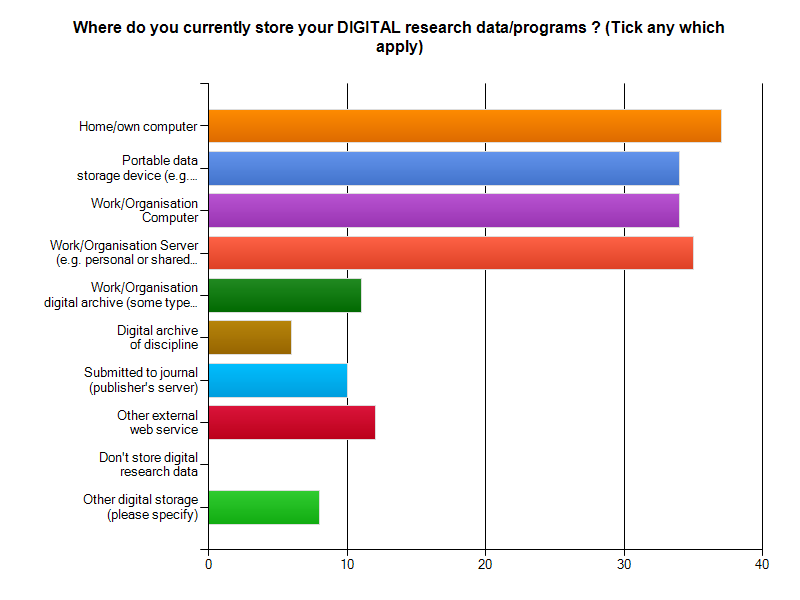 The figures that you see in the bar charts above are the actual numbers of respondents, they are not percentages. 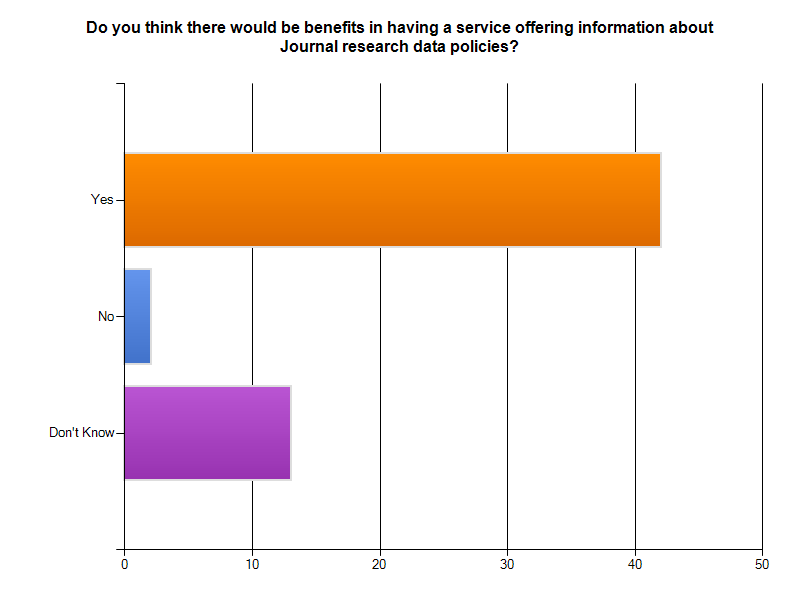 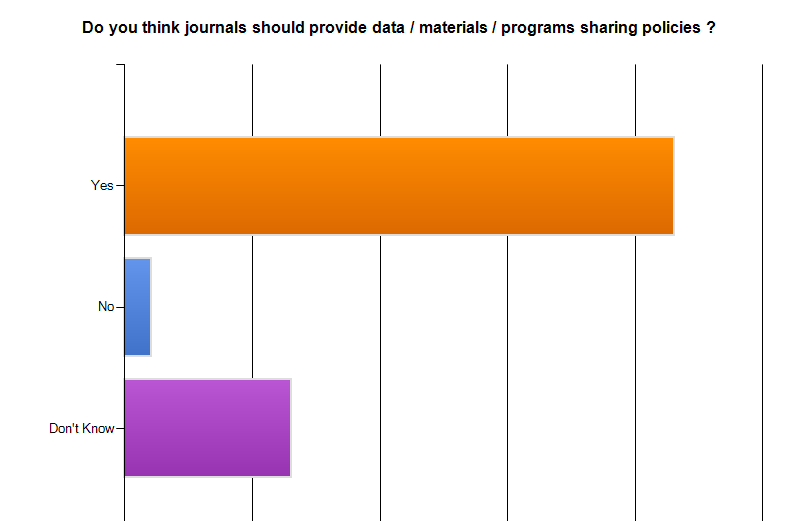 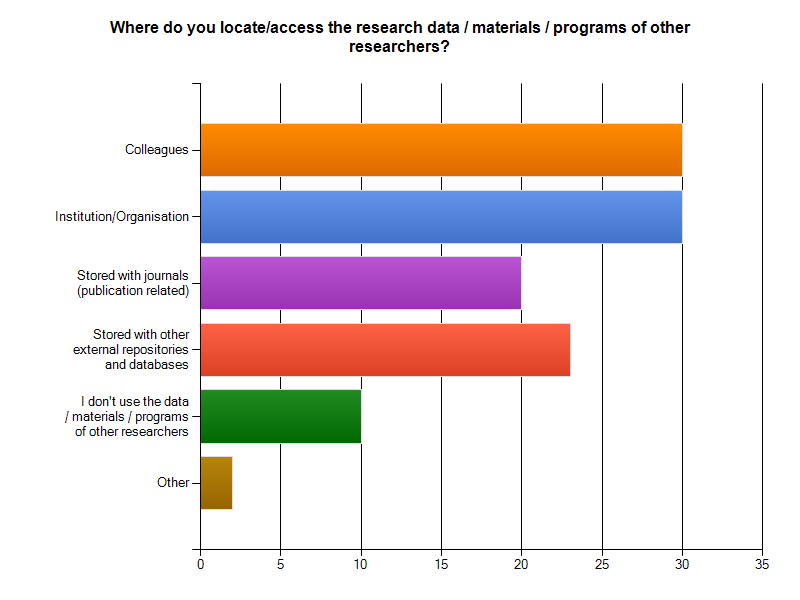 The above links are concerned with the perceptions of researchers towards sharing data and their opinions of a possible service to collate and disseminate Journal research data policies. 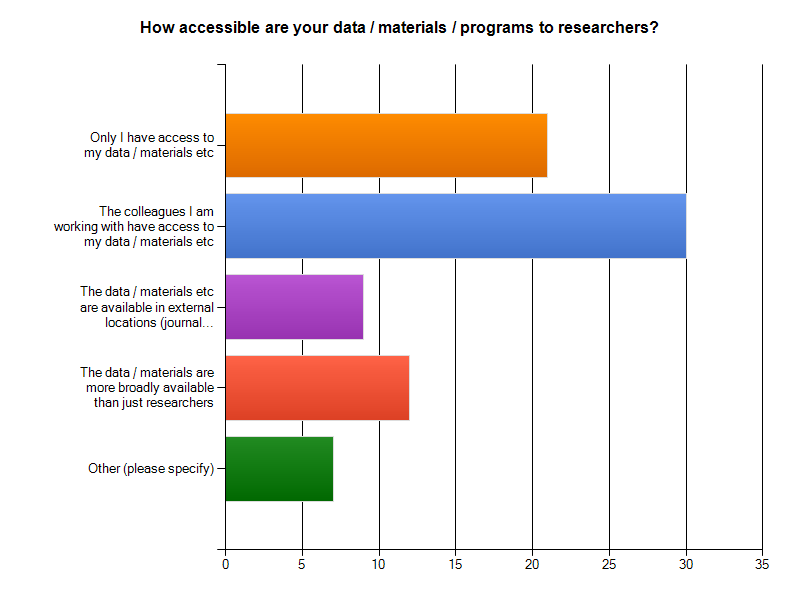 What follows is a set of tables which were the first steps in the analysis, coding the transcripts of the focus group, and explanatory responses to certain questions from the stakeholder survey .